In my few previous trips to our 50th state I’d never spent any time in Honolulu. All I knew about Waikiki Beach was from the promos on old game shows when people competed to win a trip to “beautiful Waikiki Beach.” They would show off the prize destination with happy couples sporting Hawaiian shirts frolicking in the sand. During a recent trip, I saw plenty of couples wearing those loud Hawaiian shirts, but discovered that Honolulu is a sophisticated, upscale destination — and that the millions who flock to O’ahu from all over the world each year go to enjoy its pretty beaches, luxury shops and outdoor recreational opportunities. Accommodations can vary widely when it comes to Hawaii’s capital city. Here are a few choices, ranging from traditional to sleek and modern, where you can relax in style. From the minute you step inside the white-walled lobby of the Modern Honolulu you know the hotel lives up to its name. The wall décor behind the curved front desk is made of pieces of surfboards that were broken in competition and signed by surfing champions. The rooms are sleek and minimalist, with splashes of color from a small ukulele and brightly colored sarongs that hang from hooks on the wall. Many rooms have balconies overlooking the Pacific Ocean or the yacht club marina. The outdoor areas are beautifully landscaped and pools are located on two levels. The Sunrise Pool features large daybeds and chaises. 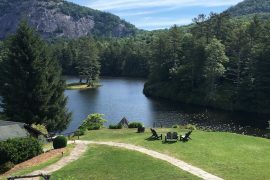 Walk up the stairs to the Sunset Pool, the adult area where the ankle-deep water earned it the nickname “the puddle,” and 100 tons of sand from neighboring islands surround the edges. One evening we dined on delectable dishes such as tuna pizza, carpaccio of Wagyu and calamari salad at Modern Honolulu’s signature restaurant, Morimoto Waikiki, conceived by Executive Chef Masaharu Morimoto of “Iron Chef” fame. While we never made it to the popular nightclub Addiction, we spent an evening in the lobby bar. Every night a large bookcase in the lobby rotates, “Young Frankenstein”-style, and opens up the room to reveal The Study, where the drinks are named for literary works, and local musicians entertain nightly. Although it’s not right on the beach, the Trump is a good choice for a long stay in Hawaii as it’s a condominium property. Our large one-bedroom included a fully stocked gourmet kitchen, large living area with balcony, two bathrooms, and a huge bathtub. The bathrobes were so plush it was like wrapping myself in a cloud. 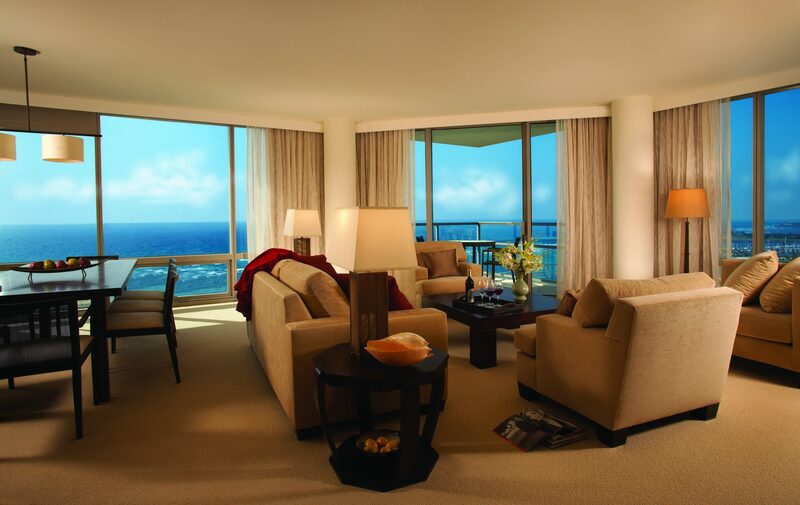 The floor-to-ceiling windows afforded us a beautiful view of the Pacific. Waikiki Beach is about a five-minute walk away. Guest services will supply a complimentary beach bag with bottled water, towels, fruit and sunscreen. Even beach lovers are likely to choose to spend at least one afternoon at the beautiful 6th floor infinity pool, off the large open-air entry lobby. 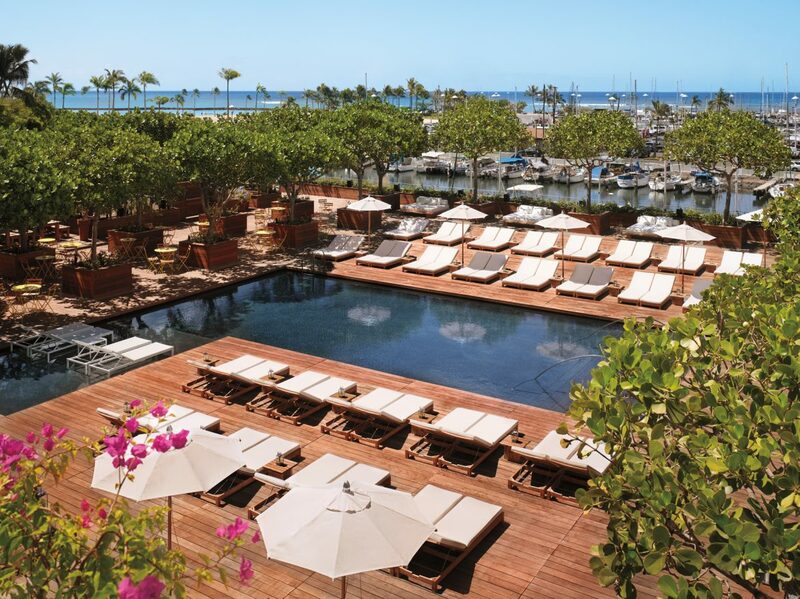 The Spa at Trump offers treatments using Hawaiian plants and the gym is open 24 hours a day. BLT Steak is in the hotel and the designer shops on Luxury Row are just steps away. One memorable late afternoon we enjoyed wine and tuna rolls at happy hour at the Wai’Olu lounge, overlooking Fort DeRossy Park, with the sun slowly setting over the Pacific beach in the background. 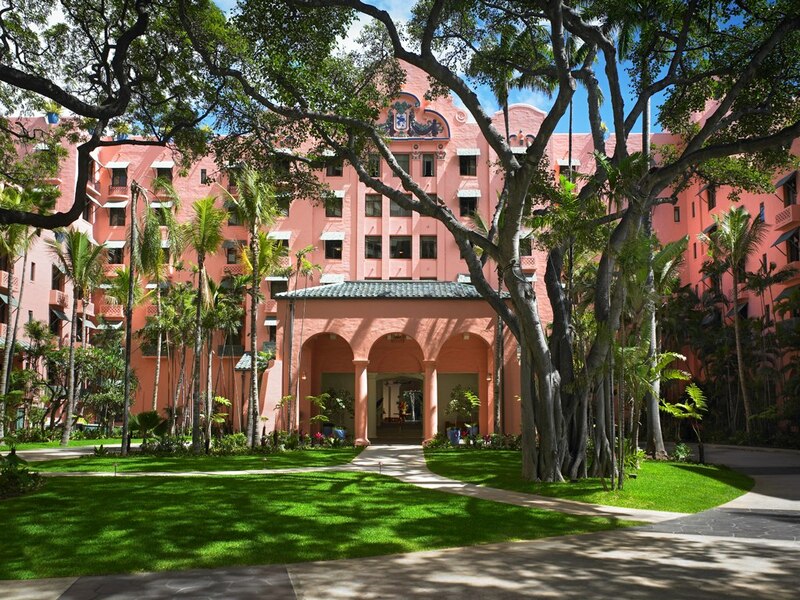 Take a stroll down Waikiki Beach and you can’t miss the Royal Hawaiian Resort, Honolulu’s iconic hotel. The hotel was built in 1927 and hosted visiting statesmen, European royalty and Hollywood elite, who back then traveled by steamship to relax in the “Pink Palace of the Pacific.” It recently underwent an $85 million renovation, is still a favorite with celebrities and is often the site of elaborate international weddings, including an Indian one that involved borrowing an elephant from the Honolulu Zoo. 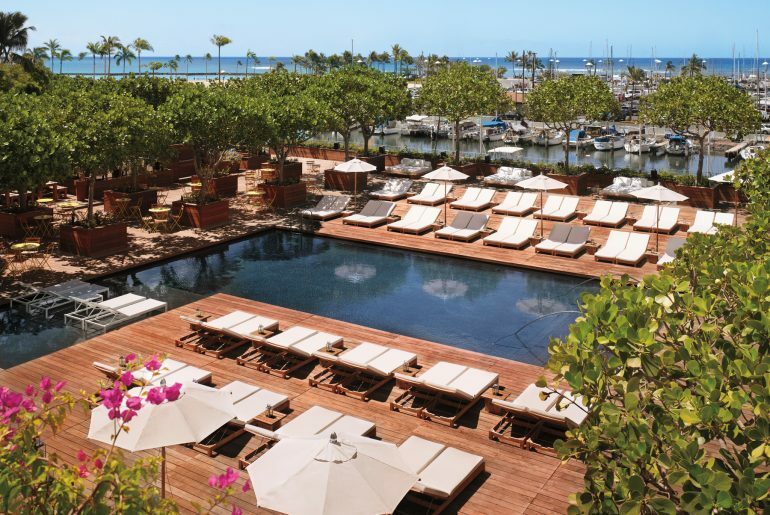 The 528-room property includes a huge ocean lawn and a coconut grove. Guests can soak up the sun under a private pool cabana at the Royal Beach Tower Pool, on a private beach, or at the Helumoa Playground and Keiki Pool. 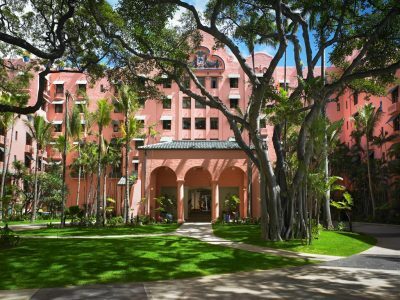 In addition to a full-service spa, the Royal Hawaiian has a children’s program, shopping arcade, three restaurants, and the Mai Tai Bar. No trip to Hawaii is complete without a toast with this pineapple-ando range-flavored rum drink.